Schutz: "Everywhere I went, I listened to people who asked, 'Why discontinue the 911? It's a great car.'" 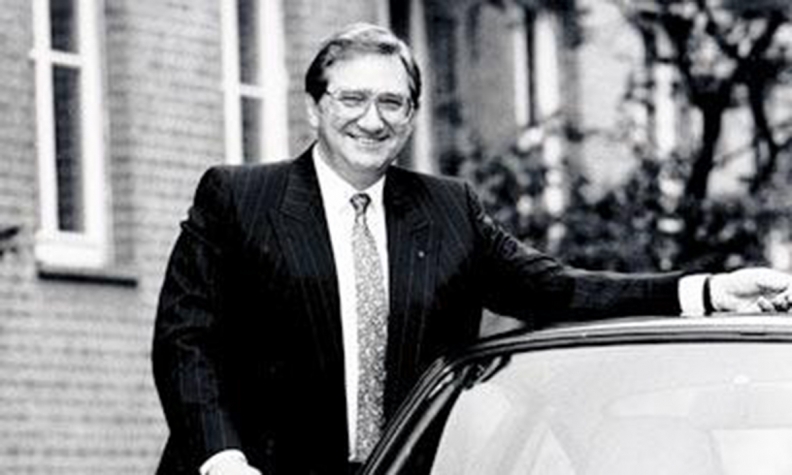 Peter Schutz, the American auto executive credited with saving the Porsche 911 from extinction in the 1980s and turning around the Porsche brand in the process, died over the weekend. He was 87. Schutz, whose family fled Nazi Germany for Cuba when he was 8 and moved to the U.S. at age 10, was named as the first American CEO of Porsche by Ferry Porsche himself in 1981. At the time, the Porsche brand was in a tailspin. It had posted its first net loss a year earlier and sales of the iconic rear-engine 911 were dropping sharply. Investments in racing had been curtailed as the company moved to tighten its purse strings, efforts Schutz saw as Porsche trying to "shrink itself healthy," he told Autoweek, a sibling publication of Automotive News, in 1985. Internally, executives had pegged the 911 to be discontinued so that Porsche could focus on its more contemporary front-engine models, the 944 and the 928. Such a move didn't sit well with Schutz, a lifelong car buff and engineer by trade whose early cars included a 1937 Dodge, a 1940 LaSalle, a 1953 DeSoto and a 1952 MG-TD. "Everywhere I went, I listened to people who asked, 'Why discontinue the 911? It's a great car,'" Schutz told Autoweek. "And 'Why aren't you in racing?'" After pressing Porsche on those very topics and not getting a satisfactory answer, Schutz moved to reinvest. Not only did he save the 911 from the chopping block, he expanded the lineup, adding popular iterations such as the first 911 cabriolet and the 911 Speedster. Porsche's now legendary all-wheel-drive 959 was also developed under his watch. While it lost significant money for the brand at the time, the low-volume technological marvel elevated the Porsche name into the supercar stratosphere, paving the way for the subsequent Carrera GT and 918 Spyder that would follow decades later. Schutz also oversaw Porsche's return to dominance on the racetrack in a variety of disciplines, including building turbocharged engines for the McLaren TAG F1 team from 1984 to 1987, dominating the 24 Hours of LeMans for seven consecutive years from 1981 to 1987, racing with success in the IMSA GTP class and even dipping its toe in IndyCar competition. Schutz's time as head of Porsche AG was not without its challenges, including a misguided and short-lived attempt at replacing Porsche's U.S. franchised dealers. In 1984, Porsche AG set up Porsche Cars North America and announced that a subsidiary of that new company -- dubbed Porsche Centers Inc. -- would set up 40 of its own stores to sell new Porsches. Existing dealers would still be allowed to service Porsche models and could also act as sales agents to take orders for their nearest Porsche Center store. Dealers were enraged. A flurry of lawsuits were filed on their behalf seeking billions of dollars in damages, as were dozens of grievances with various state motor vehicle agencies and both the National Automobile Dealers Association and the American International Automobile Dealers Association spoke out vehemently opposing the plan. Porsche quickly backed down. Schutz later expressed surprise not at the disagreement itself but at the swiftness and strength of the dealers' reactions, though his tenure at Porsche survived the episode largely unscathed. The tumult of the world markets several years later would prove more difficult to manage. Despite bumping Porsche's earnings from $4.5 million in the 1981 fiscal year to $54.7 million in 1985, according to the New York Times, 1987's market crash and a weak U.S. dollar made Porsches more expensive in America just when the brand needed its biggest market the most. Sales plunged and the automaker was forced to cut production. As a result, Schutz was replaced by Heinz Branitzki on Jan. 1, 1988. In later life, Schutz became a public speaker and in 2003 published a book called The Driving Force on how to effectively manage people, a topic he had been preaching and practicing since his early days as an executive. "It's a question of putting the right people in the right slots so that they can perform," Schutz told Autoweek in 1985. "You can take the best quarterback in the world and if you make him a defensive end, he's gonna fall on his face."